MogoBlog MogoLicious Tasty Tip of the Day: Julips bring to mind images of the old South, sitting on the front porch – a time of simple reflection and relaxation. Add the touch of Christmas and you have a new Christmas tradition – Christmas Cranberry Julips. From the MogoBox family to yours: Have a very blessed and joyous day – Merry Christmas! When ready to serve, strain cranberry syrup through sieve set over 1-quart liquid measure; discard solids. Spear 3 raw cranberries on each of 8 toothpicks. Stir bourbon into syrup. Fill 8 glasses with crushed ice. Divide bourbon mixture among glasses. Garnish with cranberry spears and mint. 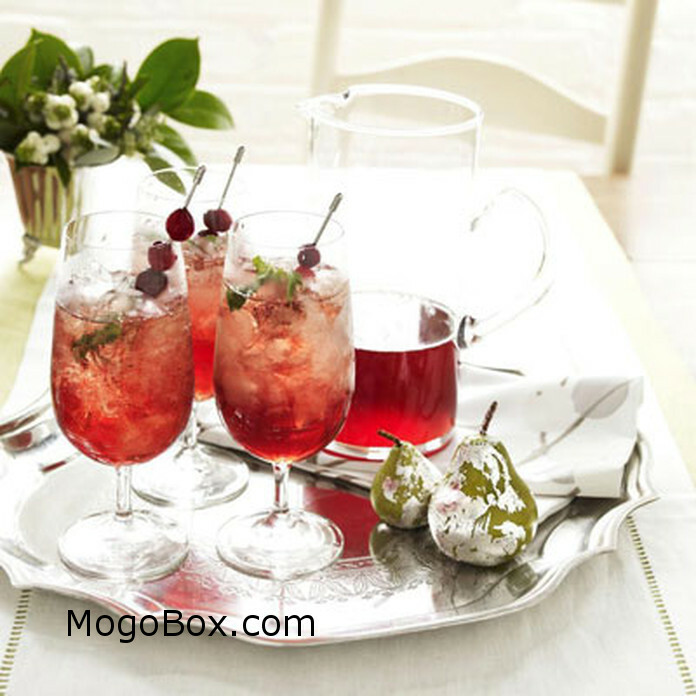 This entry was posted in MogoBlog, MogoLicious and tagged Bourbon, Christmas, Cranberries, Julip, Mint, Oranges.